From a young age, children need to get into the habit of properly taking care of their teeth. 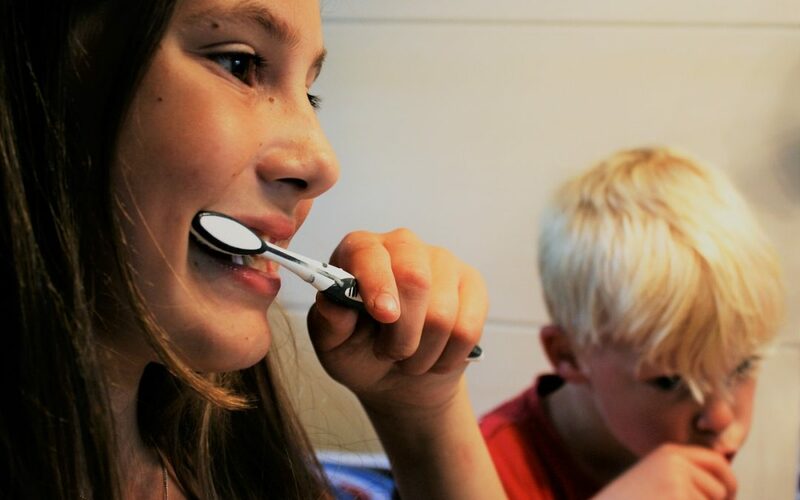 There are some do’s and don’ts outlined in this post to help you guide your children towards the best possible dental hygiene habits. The number one way to teach your child to do anything, is to do it in front of them first. It works with a range of teachings, from potty training to properly holding utensils, all the way to proper speaking. Brush your teeth in front of them, and ease your way into it. Make it a well-known and obvious part of your nightly routine. Just because you’re brushing every night doesn’t mean that they know. Proclaim it by saying, “Okay, mommy/daddy has to brush their teeth now. Let’s go.’ Take their hand, and take them along for the ride. Small children are fascinated in the world around them, and want to learn all about their surroundings, and what you’re up to. If your child is a bit older than a toddler, and you’re having trouble with getting them to understand the importance of their teeth, the worst thing you can do is scare them. A popular tactic is to force them to watch videos about the pitfalls of negligent dental hygiene, but it’s only going to give them a negative feeling about this entire process. One popular tactic is to create a reward system that coincides with your child’s age. The key to making this work? Setting a deadline. Tell them when they have to start, how long it goes on for (you don’t want to be handing out rewards for years), and be transparent. If the reward is fitting to their desires, they’ll be certain to remember on their own. Set a course for 8-12 weeks, giving one reward per week. After it’s been this long, they will be in the habit of proper brushing on a regular basis. Brushing and flossing habits are excellent, but they aren’t a substitute for regular dental visits. It’s best to get your children in the habit of seeing a pediatric dentist in Arroyo Grande and make it part of their normal routine. Establishing a healthy understanding of their oral healthcare and the importance of dental visits can help. Call or send us a message today to get yours and your children’s next appointments scheduled, and see why Arroyo Grande turns to us for their primary dental care needs.